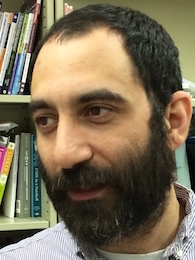 Matthew Berland is an Assistant Professor of Digital Media in the Department of Curriculum and Instruction. He completed a doctorate in Learning Sciences at Northwestern University and a postdoctoral fellowship in Computer Science at the University of Texas at Austin. He studies computational thinking and literacy, systems literacy, computer science education, the design of constructionist learning environments, and learning analytics/data mining. His current work uses design-based research methods to create and analyze tools that support students’ creativity in learning complex content (such as computational thinking skills) and novel analytics to help students and teachers understand their own learning.